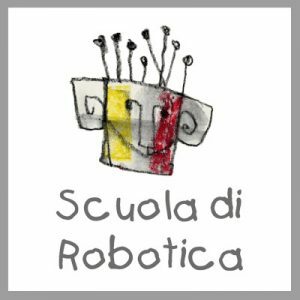 School of Robotics (Scuola di Robotica) is a non-profit society whose aim is to promote the knowledge, and responsible use of ICT educational applications, and of Educational Robotics. Since 2008 School of Robotics is an Educational and Training Center certified by the Italian Ministry of Education, Research and University. School of Robotics provides for the widest practicable and appropriate dissemination of information concerning the results of the R&D in the field of Robotics and of the complementary disciplines: Computer Science, Artificial Intelligence, Neuroscience, Philosophy, Design, and etc. Its mission is to develop a chain of transmission between research laboratories, education, industry and society at large, inspired by the assumption that without an effective translation between the language of science and those of other disciplines, communication of science is incomplete. Furthermore, School of Robotics investigates the ethical dimension of ICT and Robotics in collaboration with scholars of several disciplines (Humanities). In 2003, it collaborated in promoting the birth of Roboethics (Ethical, Legal, and Societal Aspects of Robotics, Sanremo, January 2004). Since then, it has carried on Roboethics development, in the frame of two European Projects (Ethicbots; CARE – Coordination Action for Robotics in Europe). School of Robotics coordinates a network of almost 130 Italian schools (from kindergarten to secondary school) committed to innovation in education, Open Schooling, and inclusion. It organizes conferences, classes for schools, courses for teachers, videoconferences, documentaries, publications and events, based on the pedagogical principle of “live science”, structured to close the bridge between society – primarily the school – and scientific research in the field of ICT and Robotics. It cooperated with the Italian Chapter of the IEEE Robotics & Automation Society and with the euRobotics network. School of Robotics is member of the High Advisory Group of the European Center for Women and Technology, and since 2008 National Coordinator of Roberta, Girls Discover Robots. Since 2011, it is the National Coordinator of the European Robotics Week. It is the North West Referent for the First Lego League contest, and National Ambassador of NAO Challenge Humanoid Race. School of Robotics started a nationwide network of educators – from the project Robot-in-the-Classroom (Robot@Scuola), which was originally funded by the Italian Ministry of Education (2005). Then, School of Robotics kept supporting and feeding this network. More recently, School of Robotics has started to develop App’s for smart phones and tablets to be used in educational activities. One is the result of a national project aimed to promote a Marine Park Environment by monitoring fauna and flora. This App is going to be used by general public, so increasing the knowledge of the marine environment. More recently (2016-2017) SdR developed an ICT tool called “Roboable” to help BES children to interact with parents, classmates, treachers. Through coding, robotics and the new media School of Robotics promotes transversal educational methodology, where the history of science and technology is combined with the history of the development of Arts & Literature. In all the activities, and especially in the National Festival called “Raccontare i robot” (Tell me a story about robots), narration is the center of learning, and of learning artistic/scientific expressions. Other ongoing projects include Vertical Integration of Coding and Educational Robotics in K-12 Education. It does it by way of standard robotics kits and of artefact – an open environment in which students are able to design their own program for a robots. By integrating software and hardware educational activities, and coding applied to intelligent and autonomous machines, School of Robotics developed a learning by doing original methodology for transversal learning of most of the subjects, from Science and Math to Literature and Art.